As of 2017, the United State military has a new, overhauled retirement plan. What is now called a blended retirement system combines a traditional pension with contributions to a Thrift Savings Account—similar to what most Americans know as a 401(k). How does it work and could it be a model for American employers to consider? If you’re a career military serviceman or woman, your retirement package is quite attractive. Military.com calls it “the best retirement deal around” because you start collecting benefits as soon as you retire from the military. If you retire at 40 or younger, you start getting checks that include a cost of living adjustment each year. If you entered the military prior to September 8, 1980, your pension amount is your final base pay when you retire multiplied by 2.5 percent for each year of service. That means that you receive your full base pay after 40 years and 50 percent after 20 years of service. If you joined the military later than the 1980 date your calculation is slightly different but still quite impressive. Young workers outside of the military will likely never get a pension so that piece alone is a plus for military personnel. The military pension is impressive but comes with a major problem—you have to remain in the military for 20 years to get it, and if you don’t, you get nothing. Anything less than 20 years, and you were out of luck. Nearly 80 percent of all military personnel will leave the military prior to the 20-year mark so the system was only working for the minority that was making military service into a career. The blended retirement system keeps the pension but adds the component of a Thrift Savings account that can be invested at the discretion of the account holder. Much like a company matched 401(k) plan, the person gets some free money in the form of a Department of Defense match. You could get up to a 5 percent match depending on your contributions. The person’s pension is reduced by 20 percent to account for the new blended system but the big upside? It starts just 60 days after enlistment. Current military personnel will choose which plan they would like while new recruits will enroll in the new blended system. The other advantage of the new system? It’s estimated to save taxpayers about $2 billion annually. Would it work outside of the military? Cost cutting was a key consideration in devising the new system but solving the problem of most enlisted personnel getting nothing was an important problem to solve as well. Other than very small businesses that offer no type of retirement plan, it would be hard to find one that didn’t offer benefits long before 20 years of service to the military had a unique problem to solve. Another key consideration is that only 16 percent of Fortune 500 companies offer a pension—down from 59% in 1998. 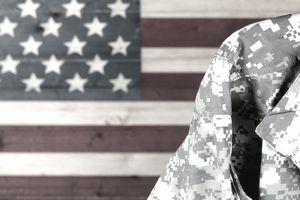 Because the pension is nearly extinct among private sector companies and likely to be extinct in coming years, a blended retirement system such as the one the military offers probably isn’t going to happen in the private sector. However, if you expand the idea of a blended system away from a pension and think of it more in terms of diversification, then yes, a blended retirement system can and should be present in your plan. Although a 401(k) isn’t technically the property of your employer, some of its contributions your plan may not be vested and because your company is likely your main and only source of personal income, you’re feeding only 1 account, which may or may not have quality investment choices as its offerings. Adding an IRA to your 401(k) or adding a Roth account if you have a traditional 401(k) or IRA can also add some amount of safety. Including other investments like a traditional investment account or a more advanced choice like real estate can create another way to blend assets. Whatever you do, diversify. Diversify within your accounts and also through the types of accounts you hold. Talk to a trusted financial adviser for help in this area.